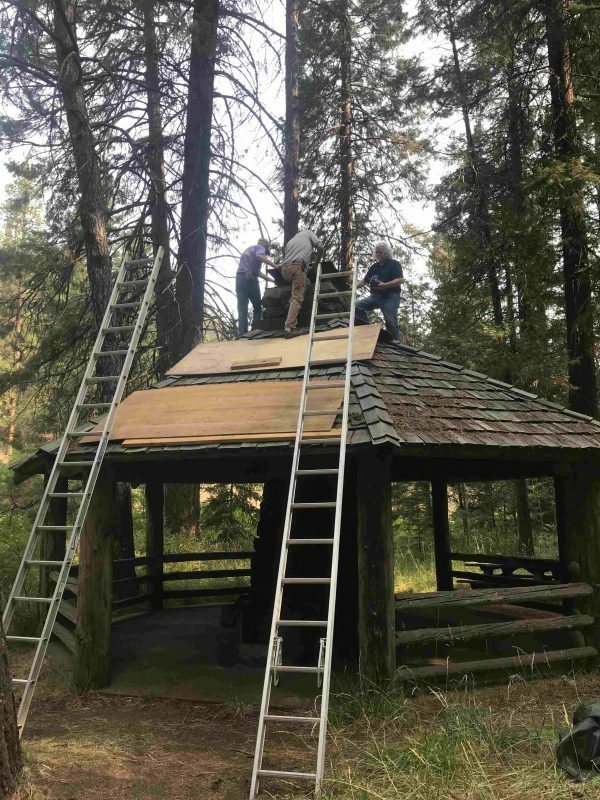 Working in coordination with the Camp Sherman Historical Society and the U.S. Forest Service, Friends of the Metolius have spent several years restoring the shelters that are found at the river campgrounds at Camp Sherman, Pine Rest and Pioneer Ford. 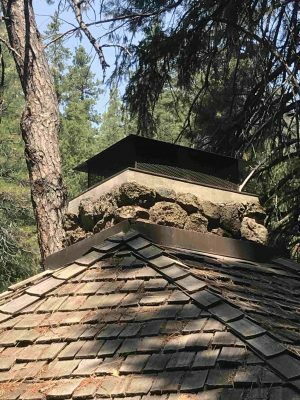 The shelters were built in the 1930s by the Civilian Conservation Corps (CCC) and are historical treasures. FOM members and volunteers Bret Campbell and Scott Perkins recently helped FOM board members Pete Schay and Doug Hancock secure the new cap on the Pioneer Ford shelter. 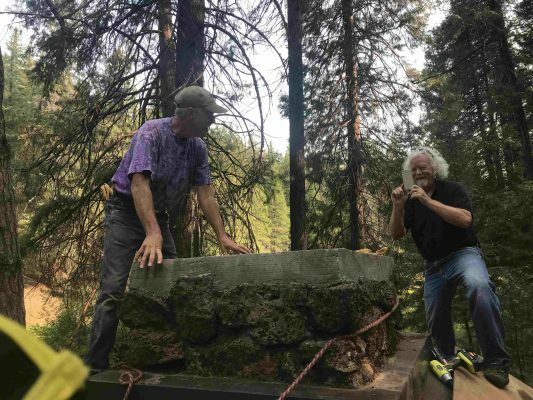 Scott Perkins and Doug Hancock assess and document the process.